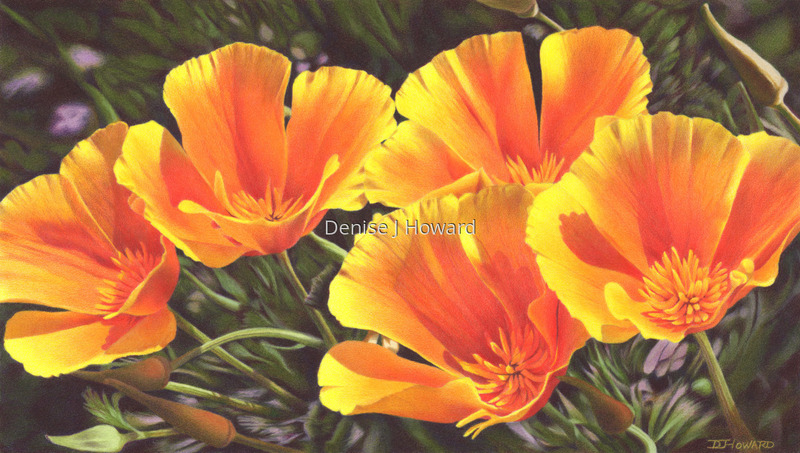 I could almost imagine this perfect cluster of poppies singing in the sunlight. Colored pencil on Stonehenge paper. Honorable Mention, Explorations in Colored Pencil II, Half Moon Bay, CA, 2013. Exhibited in "Made in California", Brea, CA, 2015. 5" x 8.75"8" x 14"11" x 19.5"